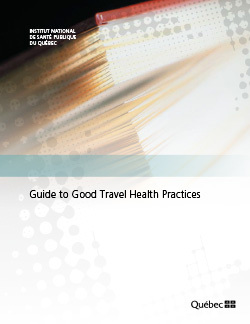 This guide is one way of addressing the shortcomings observed in the care provided to Québec travellers since these changes were made. It describes the pre-travel component of travel medicine, in order to better define the knowledge and skills required. It is also meant to help improve the quality of service provided to travellers, and to promote the training and professional development of clinicians working in this area.